A few weeks ago, Nik + Beth got married at Whistle Bear and I attended their reception as a guest. 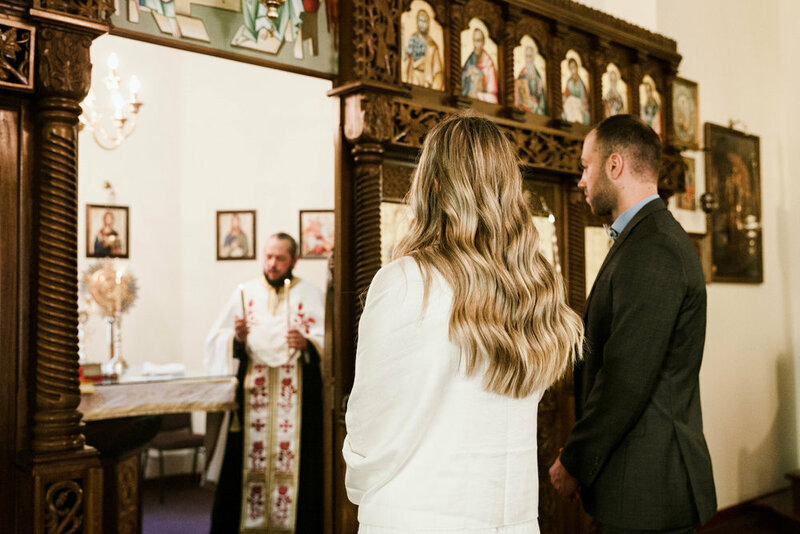 Fortunately, I was asked to capture their ceremony at St. George, a Serbian Church, in Waterloo on the following Sunday. It was so nice to see all their close family and friends come together to witness them exchange rings, be crowned and join hands as husband and wife. Judy did a fantastic job getting all the shots we wanted plus some creative ones we wouldn’t have thought of. It’s clear she has a passion for photography. She’s so easy to work with and extremely kind, patient and professional.